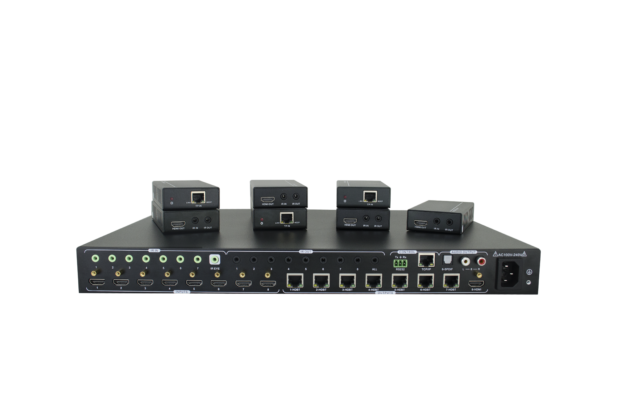 MUH88E Kit is a professional 4K HDBaseT Home Distribution Hub Kit, which consists of a 4K HDBaseT Matrix Switcher, 7 HDBaseT Receivers and accessories. 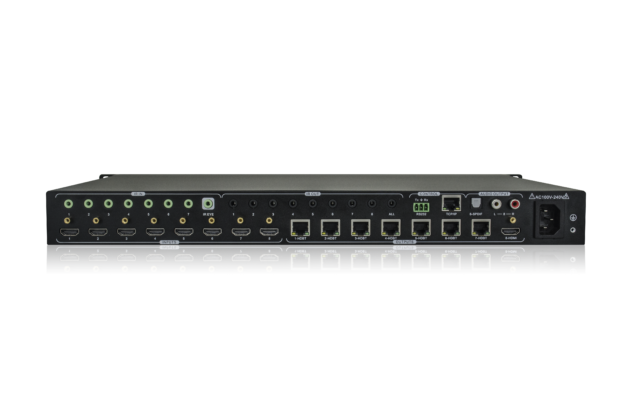 MUH88E is a professional 8x8 HDBaseT Matrix Switcher that consist of the following inputs and outputs, 8 HDMI IN (4kx2K@60Hz signal at max), 7 IR IN, 1 IR EYE, 8 IR OUT, 1 IR OUT ALL, 7 HDBaseT OUT, 1 HDMI OUT, 1 SPDIF OUT, 1 L&R RCA OUT, and TCP/IP, RS232 control port via phoenix connector. The TPHD-BYE-R is an HDBaseT Receiver that consists of the following inputs and outputs, 1 HDBaseT IN, 1 IR IN, 1 IR OUT and HDMI OUT. The receiver is powered directly by the Matrix Switcher. All HDMI inputs can be selected by either the front panel buttons, IR, RS232 or GUI. The selected source is delivered to HDBaseT zoned outputs 1~7 & HDMI Output. 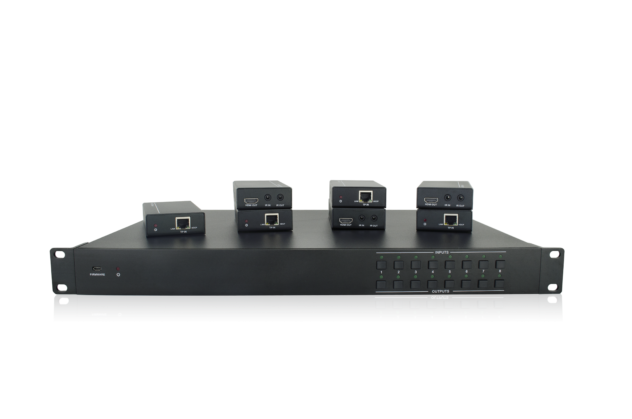 The Matrix Switcher is capable of delivering 4K signals up to 40m, 1080p up to 70m and powering the receivers via a single CAT5e cable. It is however recommended to use good quality CAT6 cable. 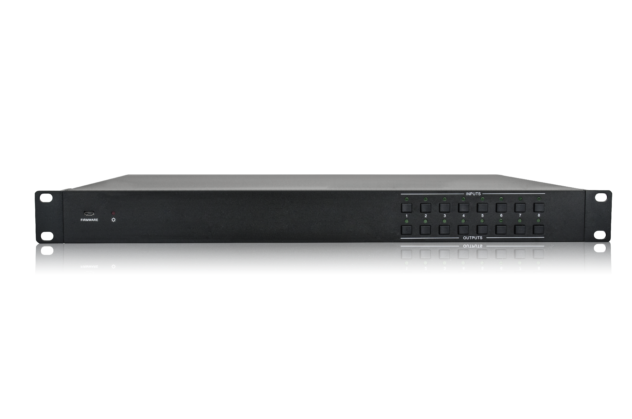 The Matrix Switcher supports EDID management and is HDCP 2.2, 1.4 compliant. Audio sources can be selected via RS232 commands and TCP/IP at the Matrix Switcher or by 3rd Party control.